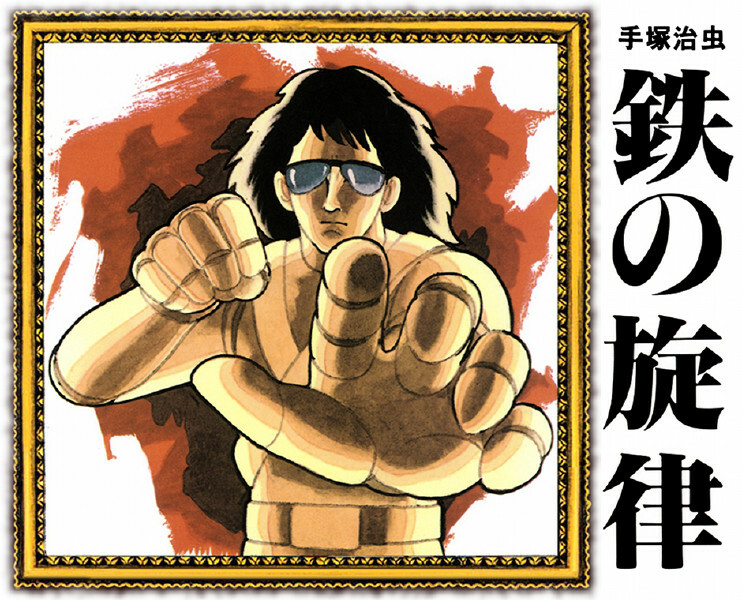 Well, when I was searching for something to feature for this week’s Random Manga Theatre, I wasn’t expecting to come across something from the man himself: Osamu Tezuka. For those unaware (shame on you! ), Osamu Tezuka was the creator of Astro Boy and a whole host of other manga, and his style and conventions were basically the progenitors of all anime as we know it today. We owe the guy a lot. Anyway, Melody of Iron focuses on Dan Takuya, a kindly Japanese man whose sister is getting married to Eddy, a young Italian. The problem is that Eddy has strong ties with the Mafia, and they force Dan to swear to the rules of the Albani family. Even so, Dan’s basic human decency takes over when he sees a man get gunned down on the streets of New York. He reports as a witness to the police, but it doesn’t take long until the Mafia track him down. He’s betrayed the family, and for that he must pay – they strap Dan onto train tracks and use a cart to slice his arms off, leaving him for dead. As is typical for revenge stories, Dan survives, thirsty for vengeance. He finds a strange old man, who claims to be studying the power of PK: Psychokinesis. Dan agrees to be subjected to experiments for a year – anything to gain a chance to kill those who wronged him – and gets himself a pair of iron prostheses, controllable via his latent PK abilities. Thus… armed (ZING), he ventures out for revenge. Osamu Tezuka is known as the “God of Manga”, and it’s easy to see why. For a relatively short story, this is very well crafted. 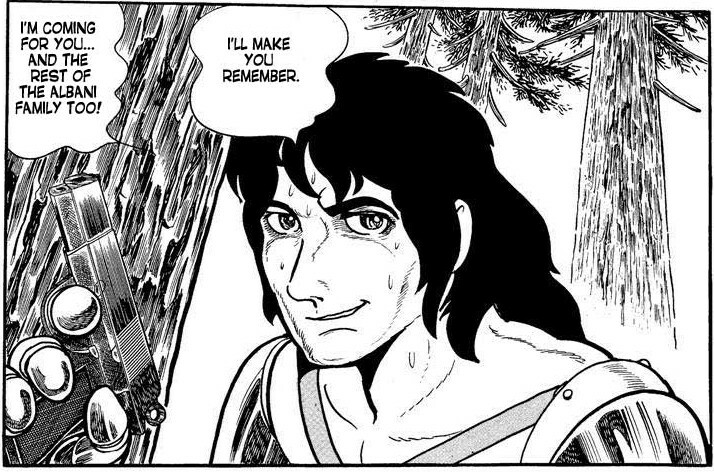 Tezuka’s art style is rather cartoony, but he still milks the plot for a fair amount of drama. You feel both justified in rooting for Dan’s rampage through the mafia, and disgusted at how far he’s taking his revenge – which is, incidentally, just how he feels. He claims he just wants to liberate his sister from the danger she’s in, but it quickly becomes clear that the truth is darker than that. It’s perhaps a simplistic story, but it’s definitely worth your time if you have it to spare. ← PSA: You Can (Not) Survive!